It is mildly sweet, which makes it appropriate for mixing with different sweetners with low-calories that are way too sweeter as compared with sucrose, however, they do not give the essential volume. The compound is created by diminishing the glucose compound of disaccharide lactose. Lactitol is not absorbed or hydrolyzed in the small digestive system. Rather, lactitol is processed by microbes in the digestive organ, where it gets cahnged over into natural acids, biomass, little of hydrogen, and carbon dioxide. Lactitol has a perfect sugar-like sweet taste that enables it to blend with other sweeteners with low-calorie. The comparatively low sweetness of lactitol increases as its quantity in food is expanded and it does not have delayed flavor impression. It is also low in calories. It is processed in the big intestines and yields around 2 calories for every gram contrasted with a usual carbohydrate, which contributes typically around 4 kcal per gram. The global market for lactitol, with a low calorie check and 60% lesser sweetness quotient when contrasted with table sugar, has increased critical consideration from the world's rising calorie-conscious people. The low glycemic record of lactitol likewise ensures its acknowledgment by diabetics, which again is a quickly rising statistic over the globe. 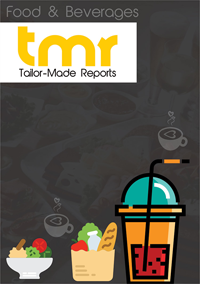 Among the major applications of lactitol, the ones in the food and beverages sector which is prompting the global market to own significant share in its entire revenue. The food finds huge use all around on products, for example, biscuits, cookies, chocolates, chewing gum, candies, and ice-cream. The high utilization of the products globally is estimated to drive consistent demand for lactitol in the forthcoming years. The key elements supporting the constructive advancement of the global lactitol market incorporate the increased awareness with healthy living among individuals of all age groups and the rising cases of diabetes. Backed by various healthcare centers and food regulation bodies, globally have surged the advancement of new possibilities for the lactitol market in the forecast period. On the basis of geography, the global lactitol market is segmented into Europe, North America, Asia Pacific, and Rest of the World (ROW). The two main players in global lactitol market are Danisco and Purac Biochem, where the former is a subsidiary of big firm, DuPont. Some more important players operating in the market are Hangzhou Uniwise International Co., Ltd., Qufu Xindi Chemical Research Limited Company, and Lonsino Medical Products Co., Ltd.